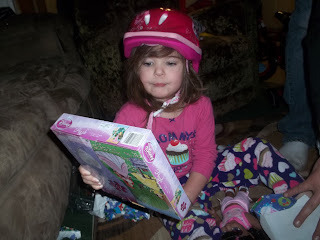 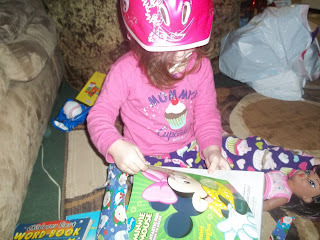 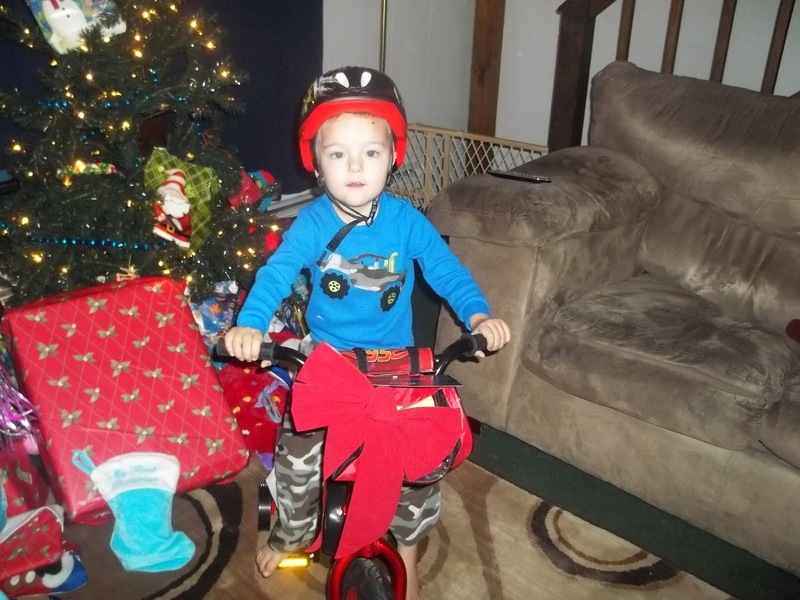 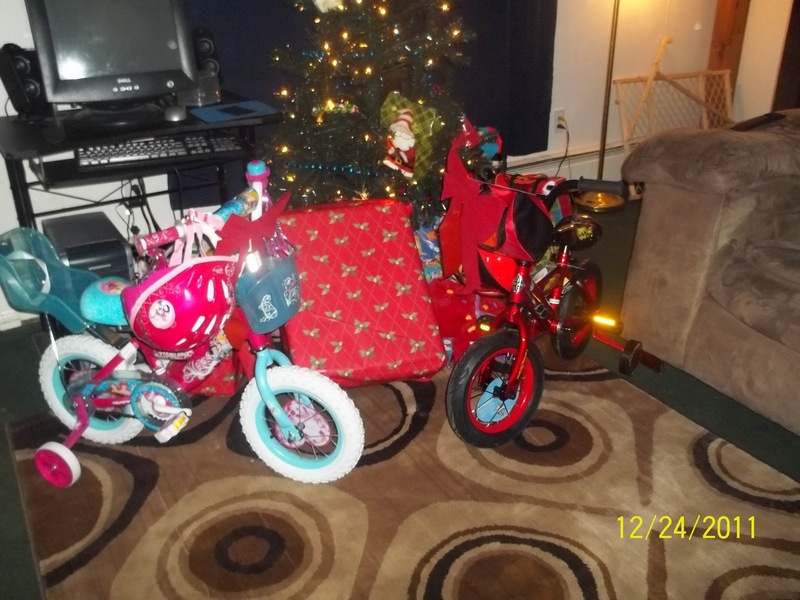 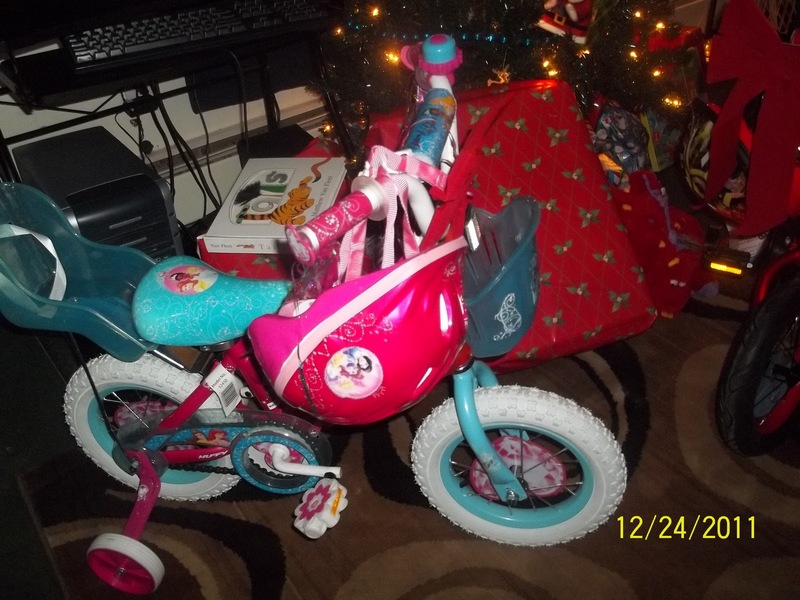 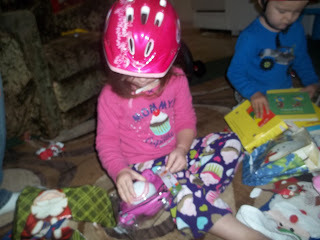 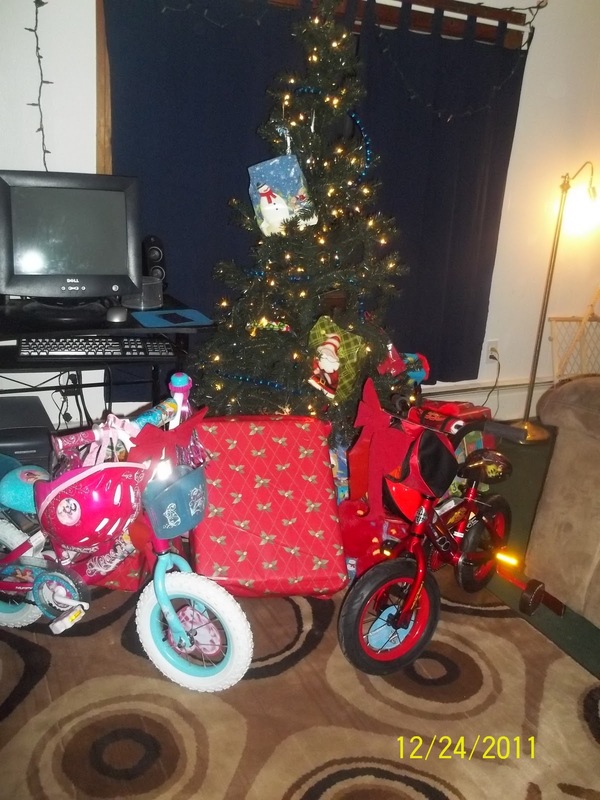 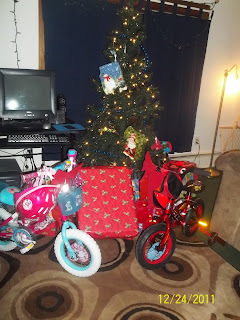 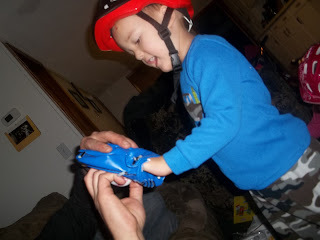 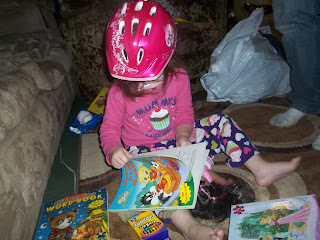 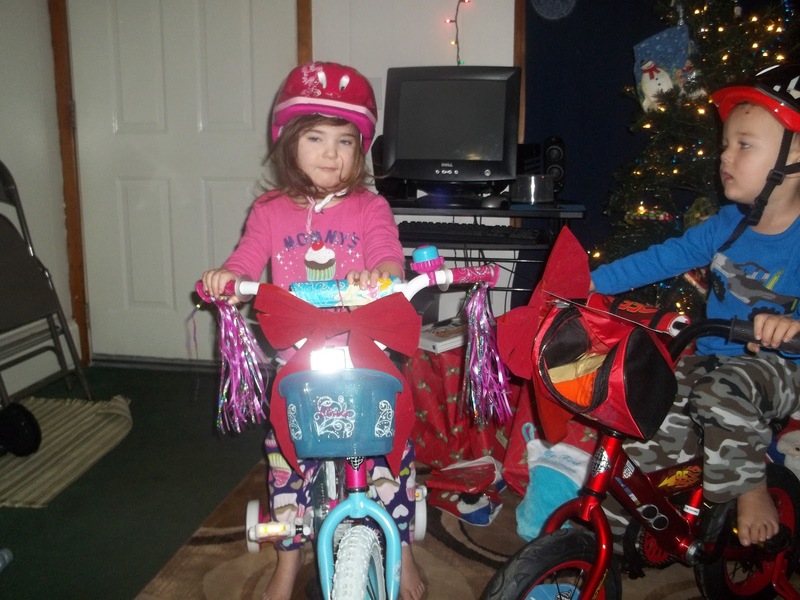 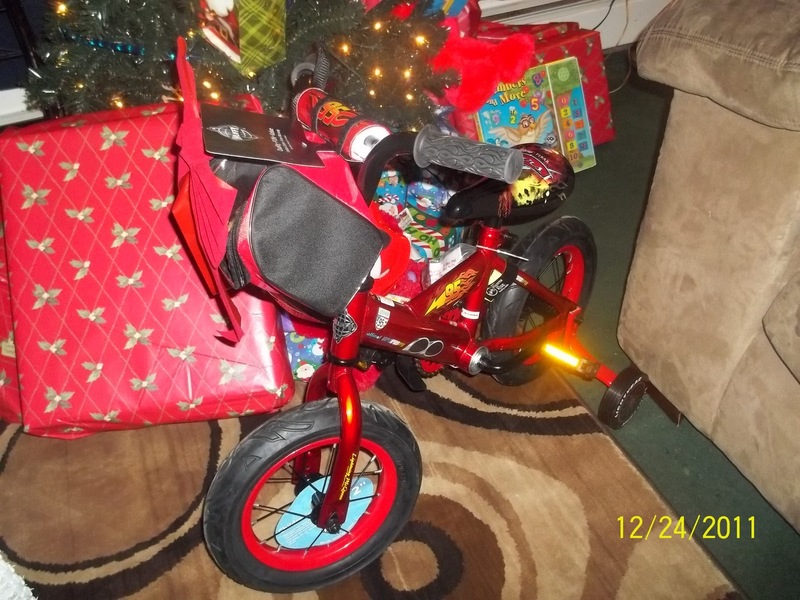 We woke up bright and early Christmas morning, excited to see the kids reactions to their gifts, especially the bikes! 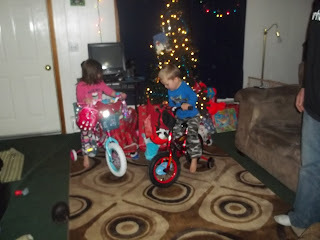 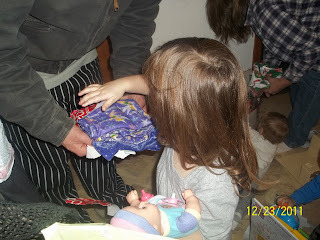 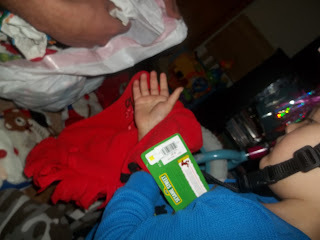 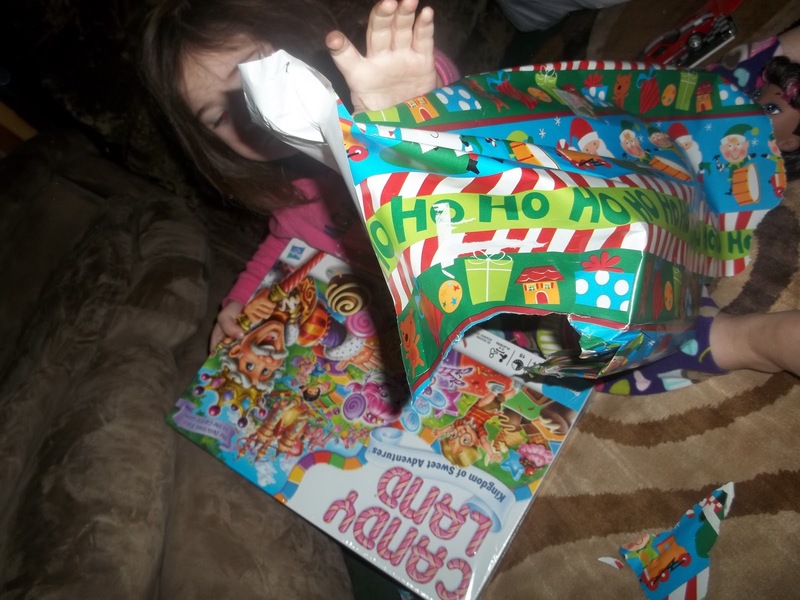 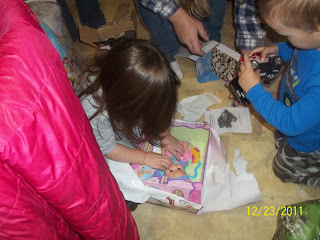 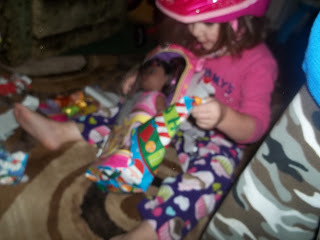 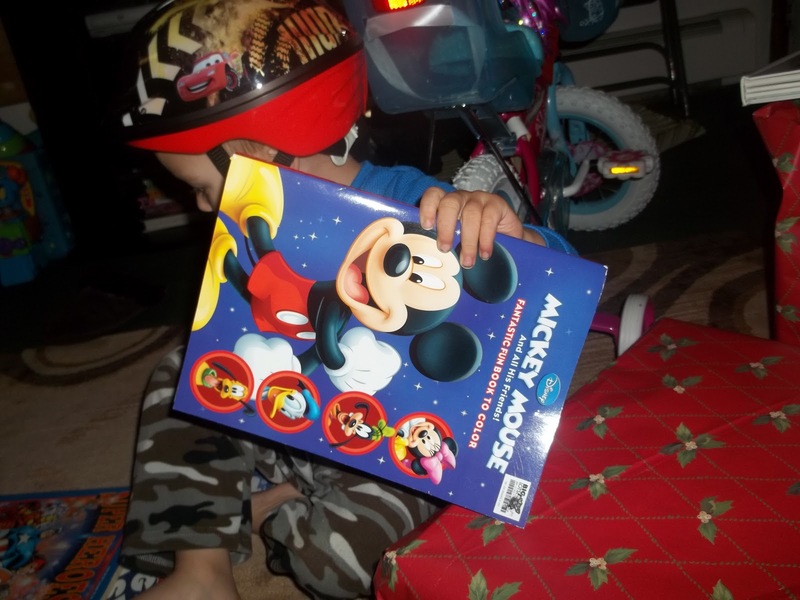 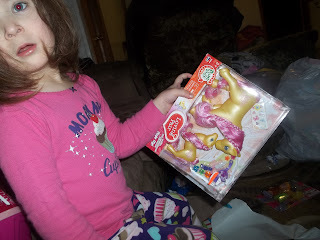 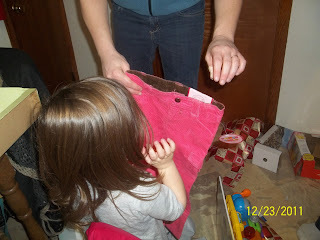 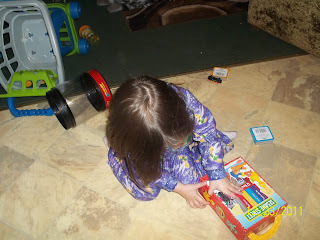 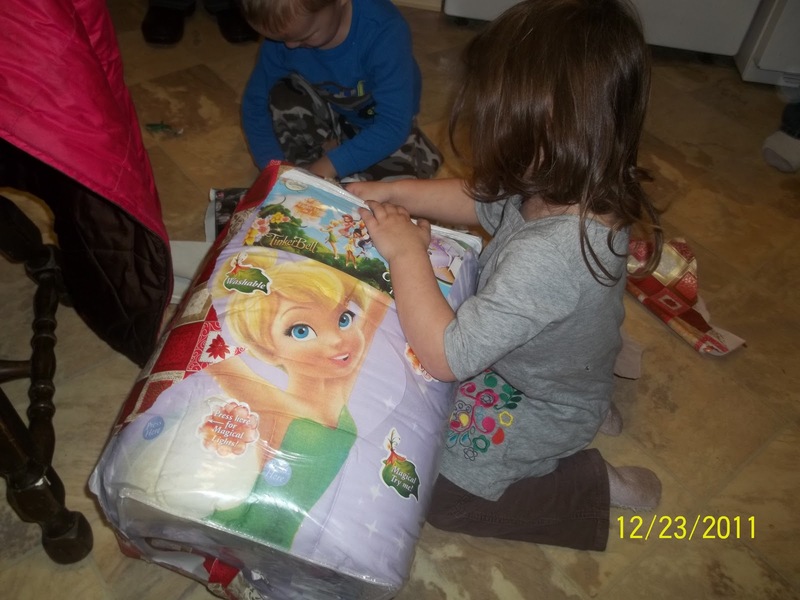 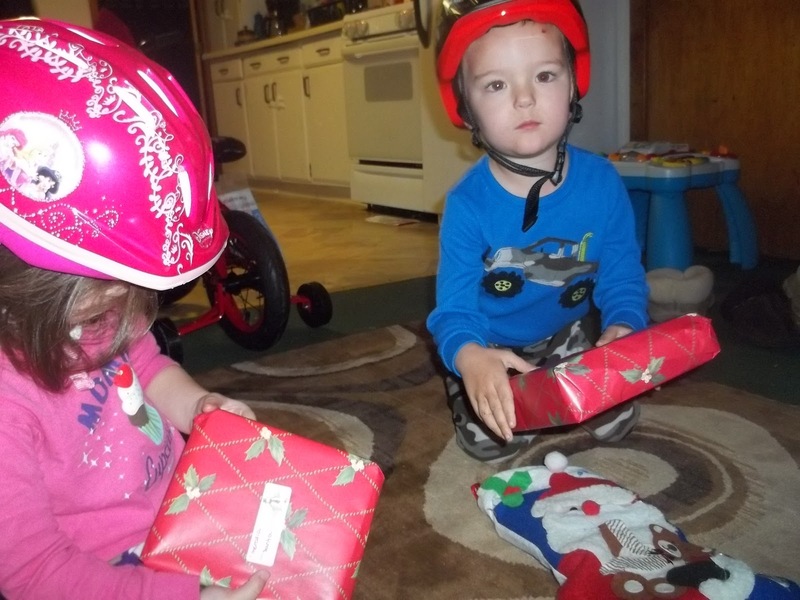 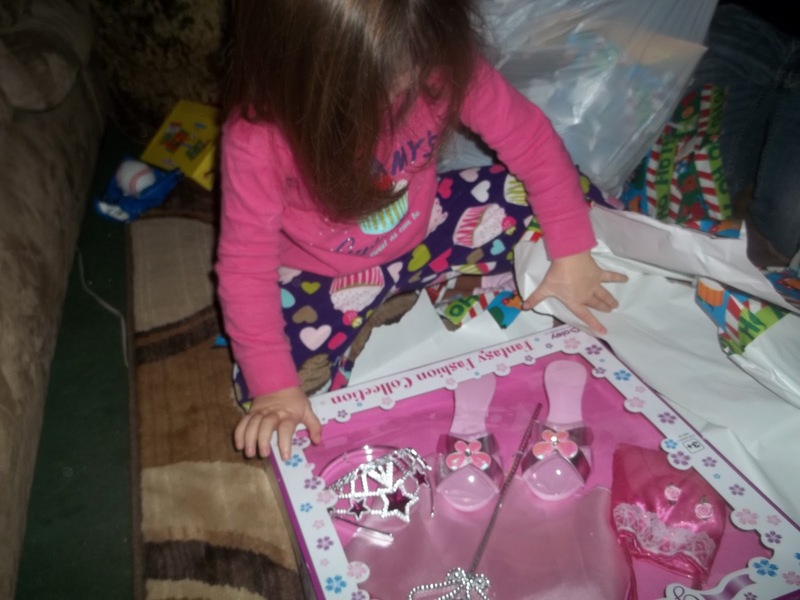 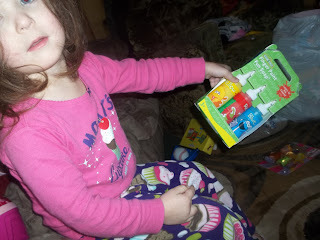 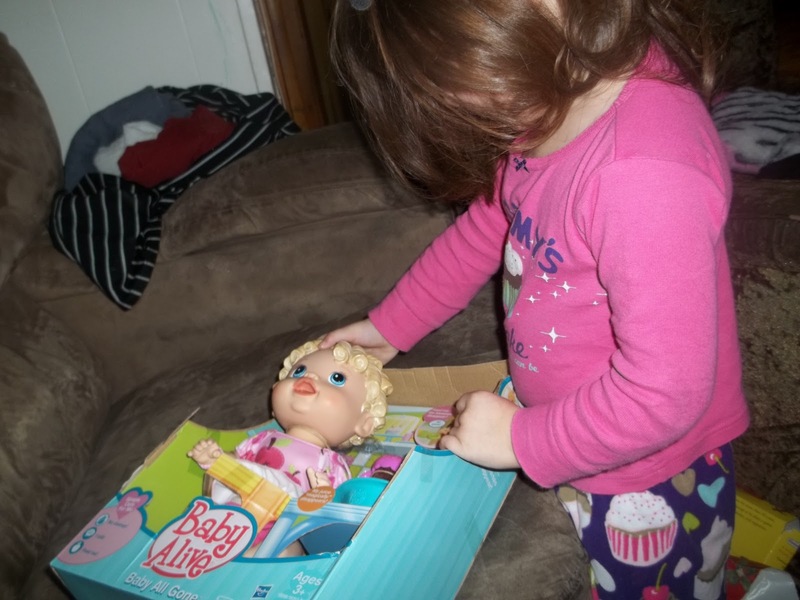 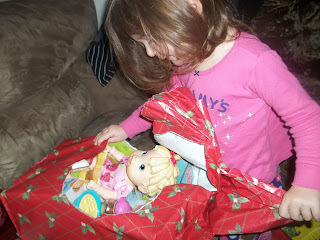 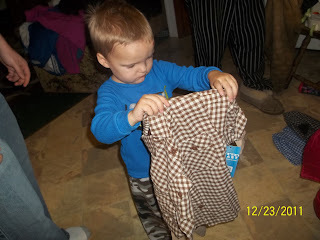 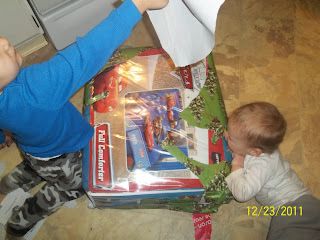 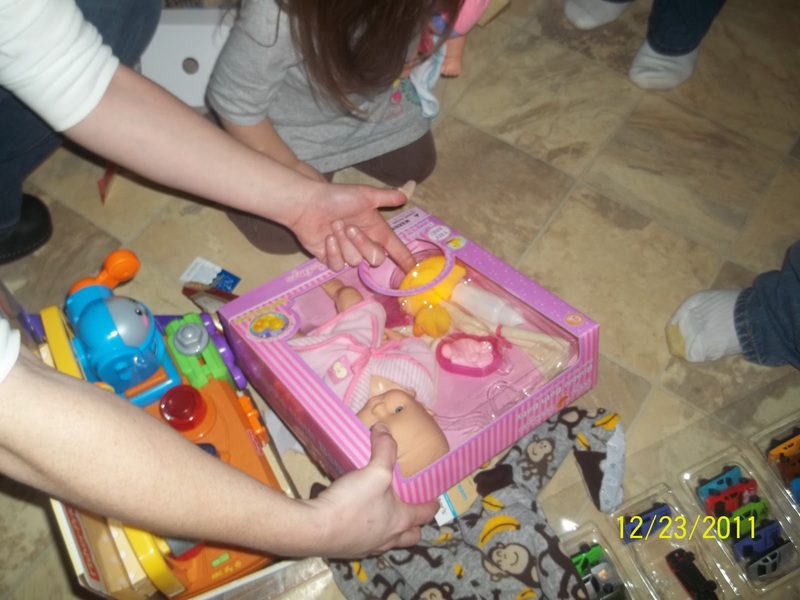 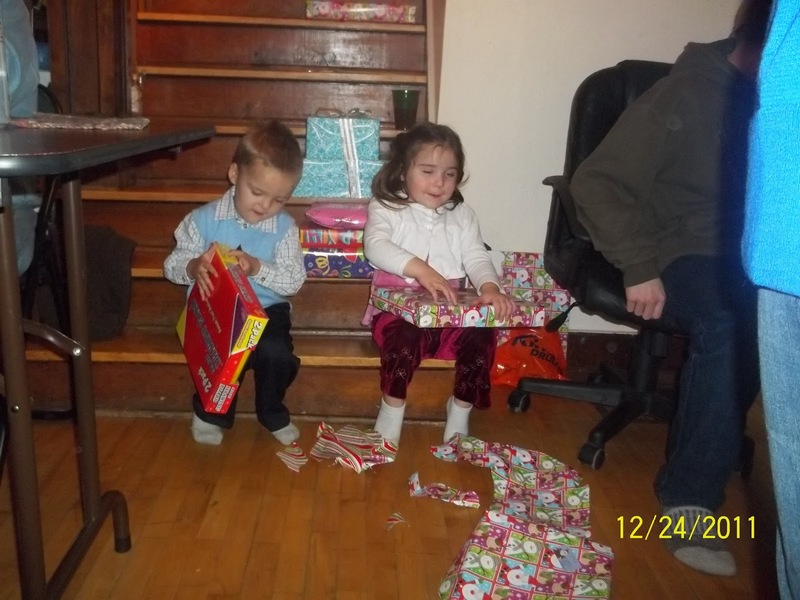 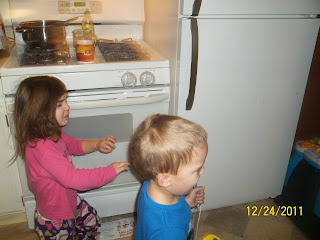 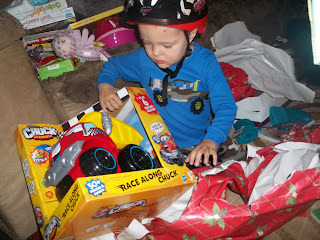 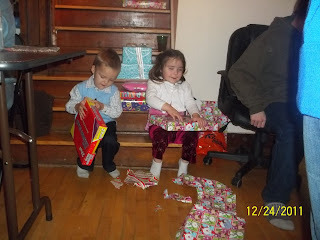 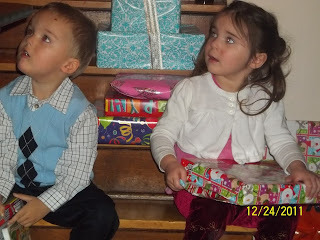 Once they woke up a little more and realized what was happening, they were excited and oh-so-happy with their gifts! 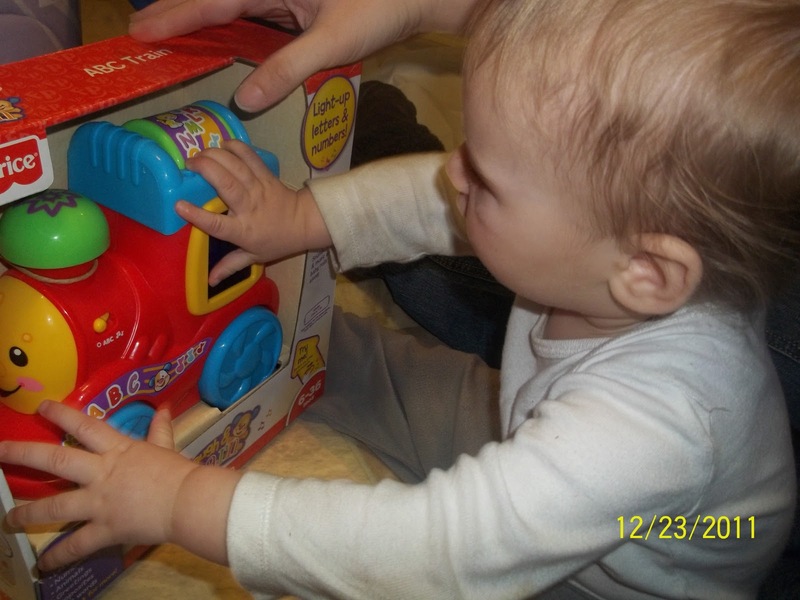 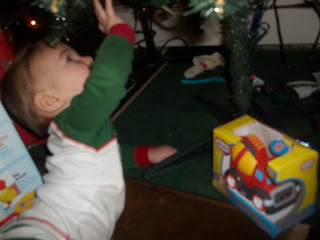 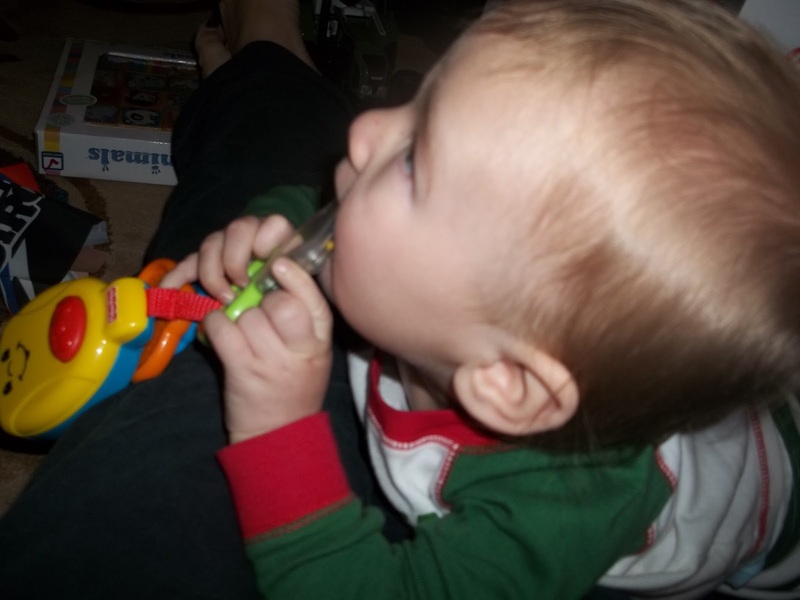 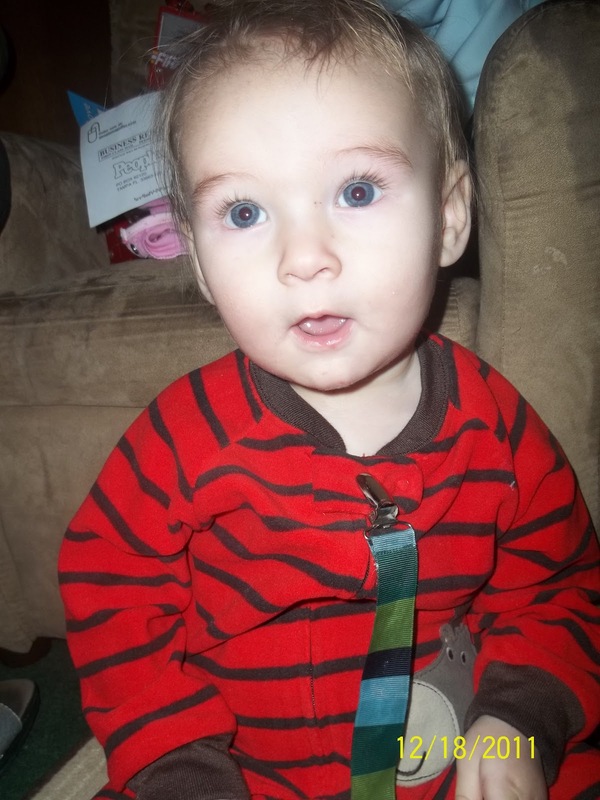 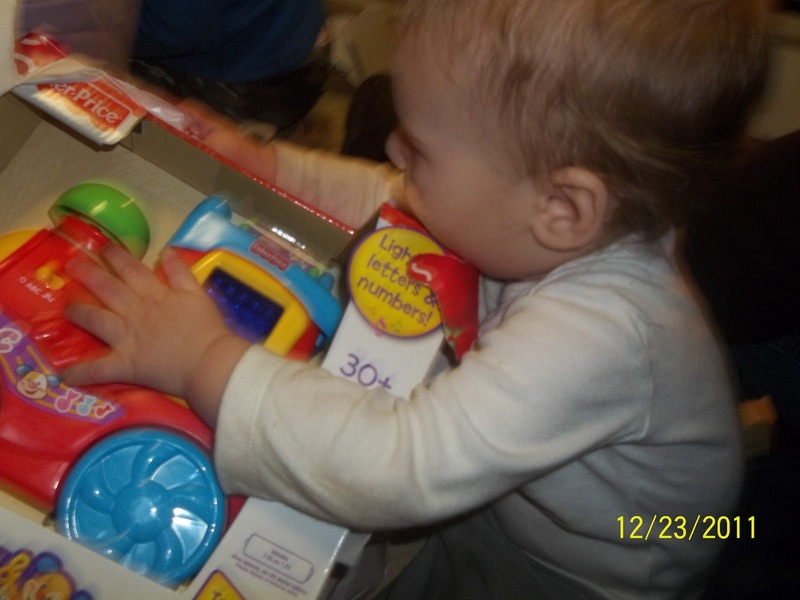 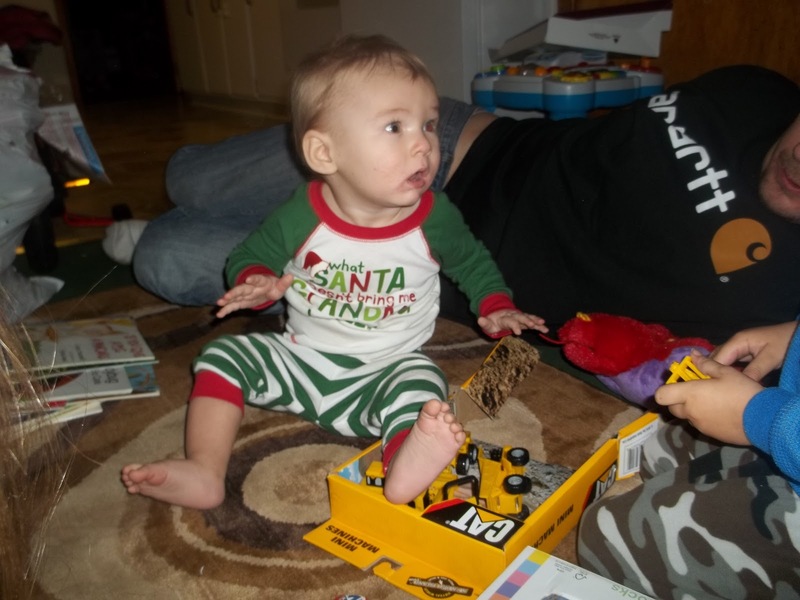 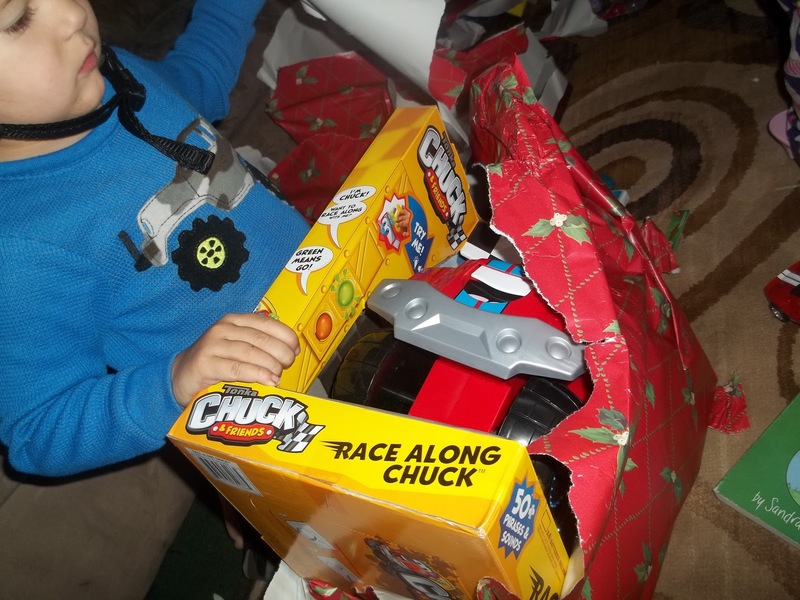 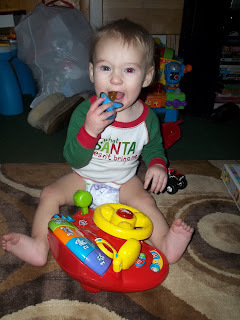 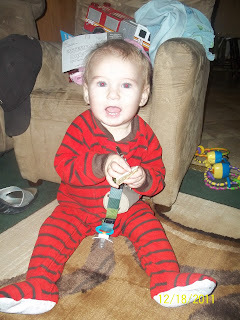 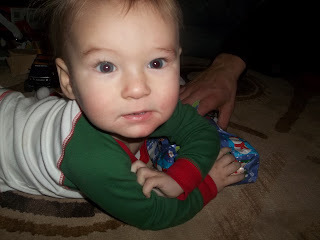 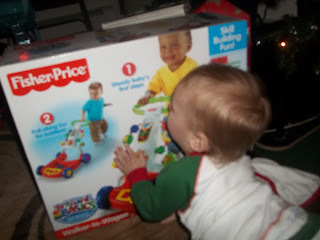 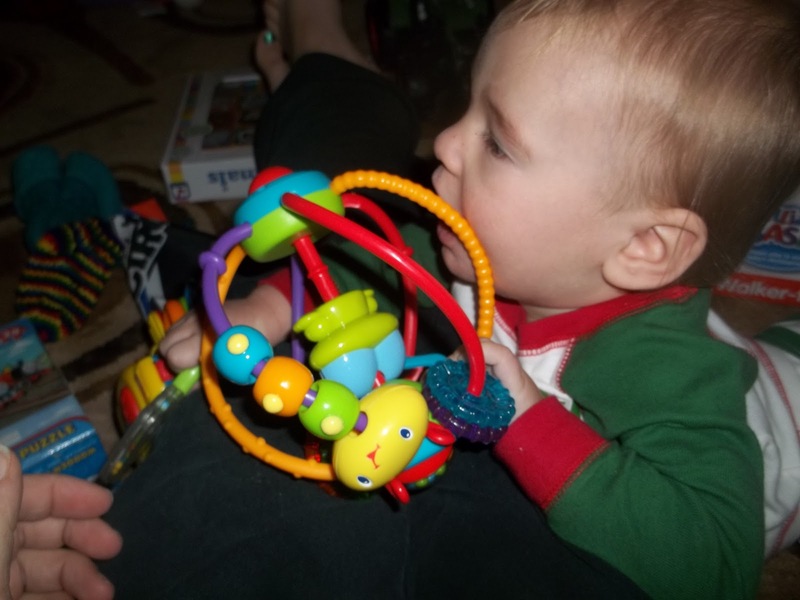 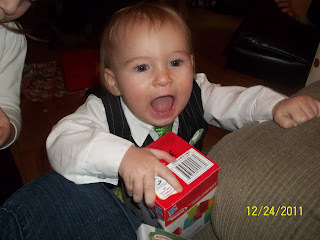 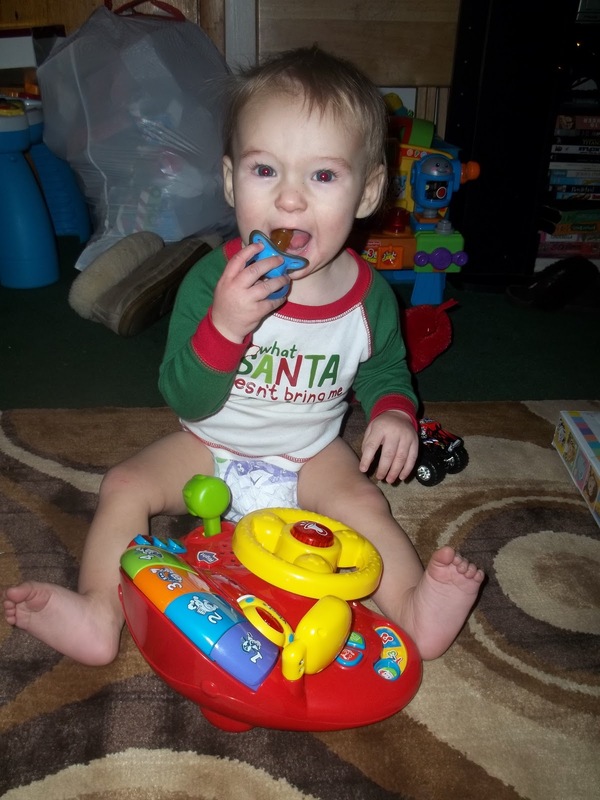 Mason had a great first Christmas as well. 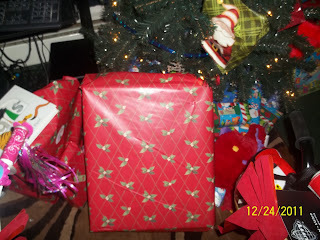 It started Christmas Eve, when he gave me the present of sleeping through the night for the first time in MONTHS! 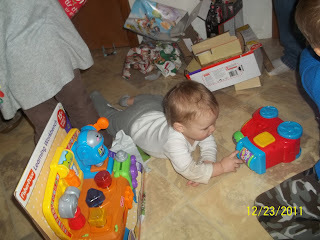 And, in his own room. 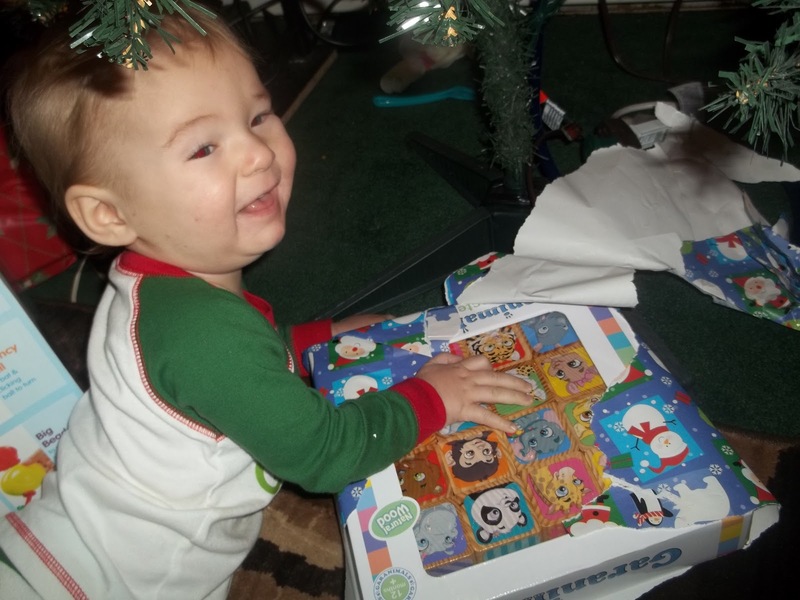 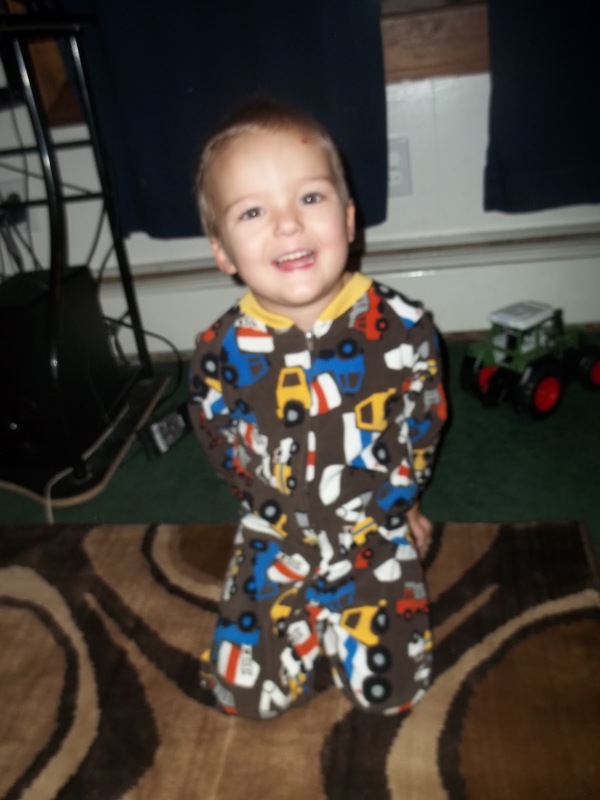 :-) And then, he sat up on Christmas morning, to open presents. He has not officially sat up yet, but it's only because he has no interest and is always on the move, creeping around and standing. 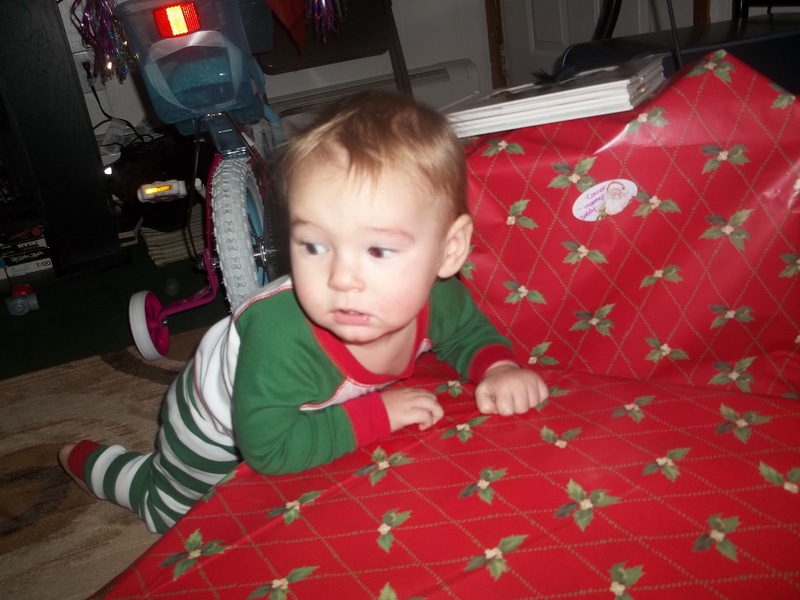 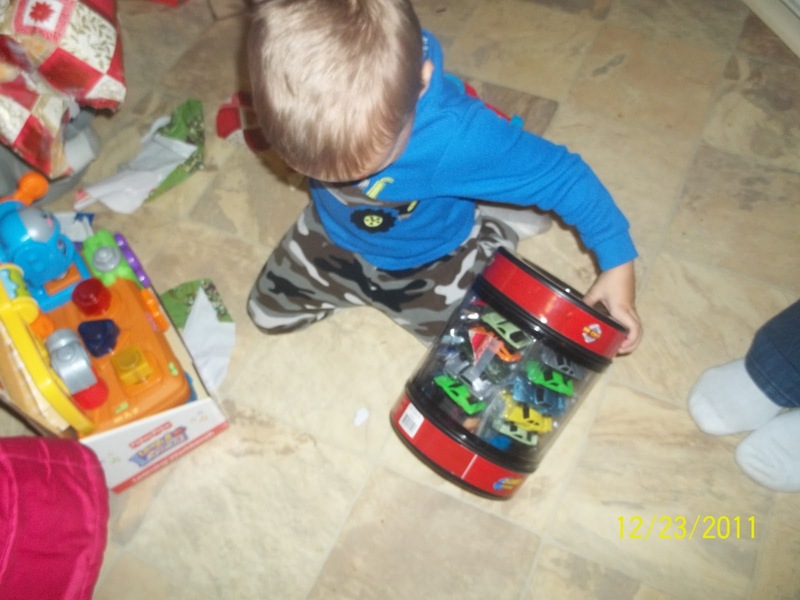 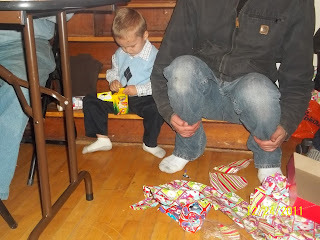 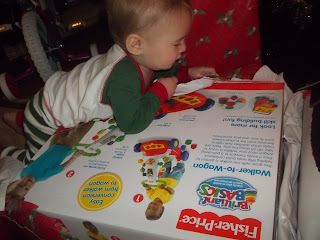 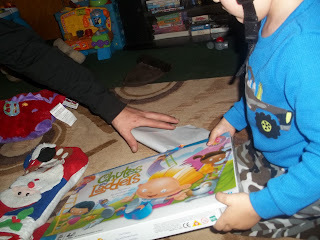 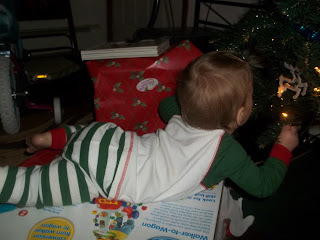 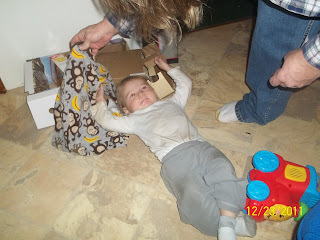 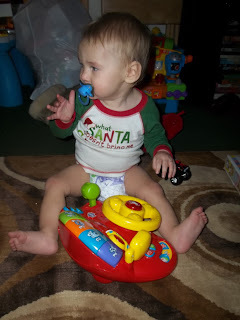 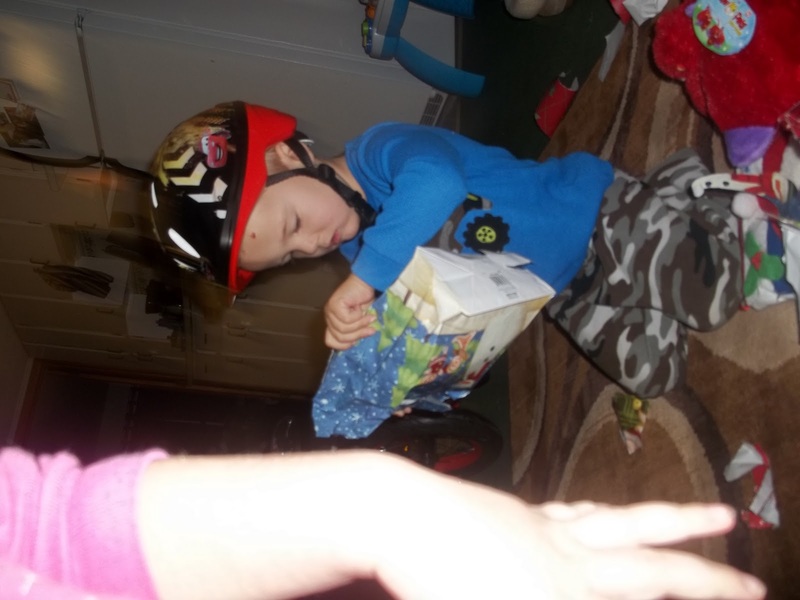 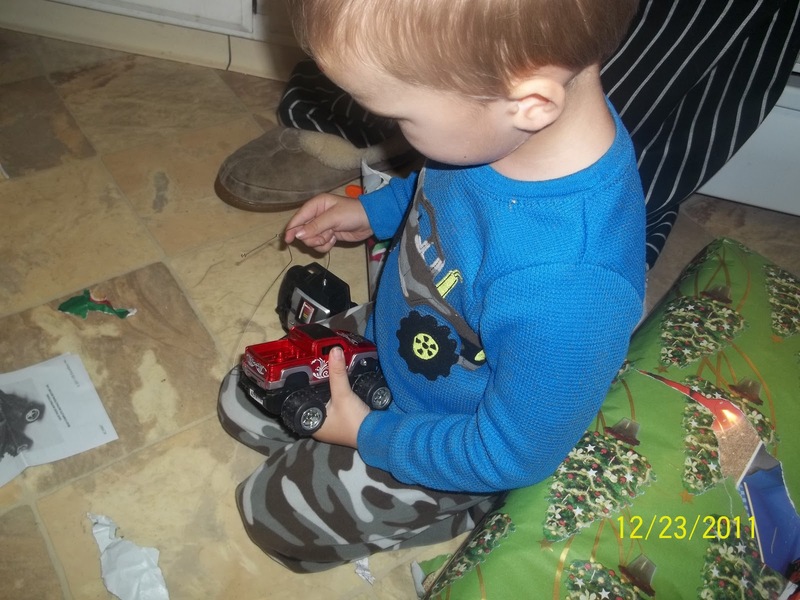 But while opening gifts, he sat himself up! 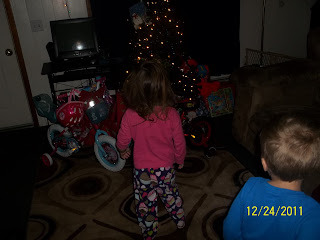 My favorite gift was the gift of being together as a family, and enjoying our children and the holiday through their eyes. 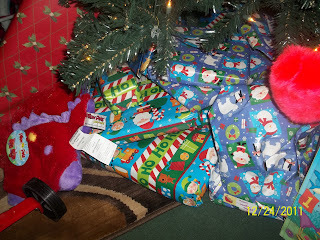 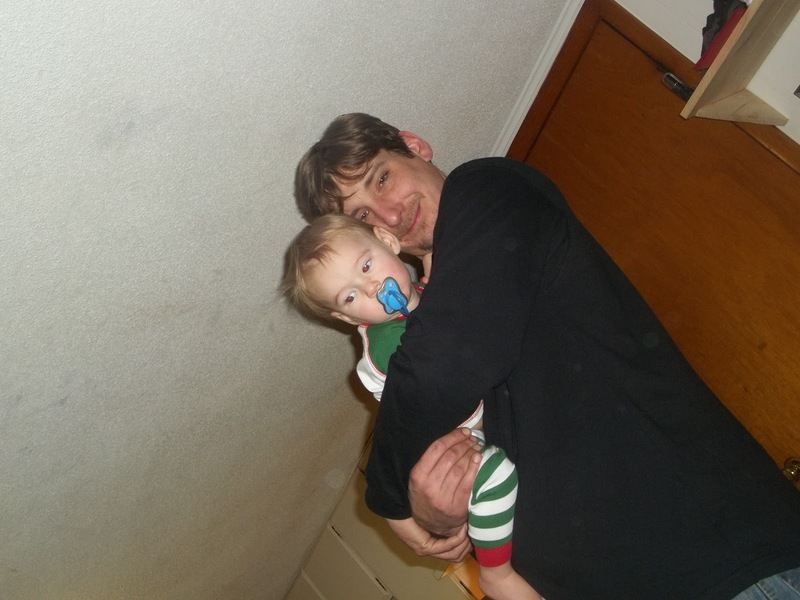 It was such a special, memorable Christmas this year, and I am so, so happy. 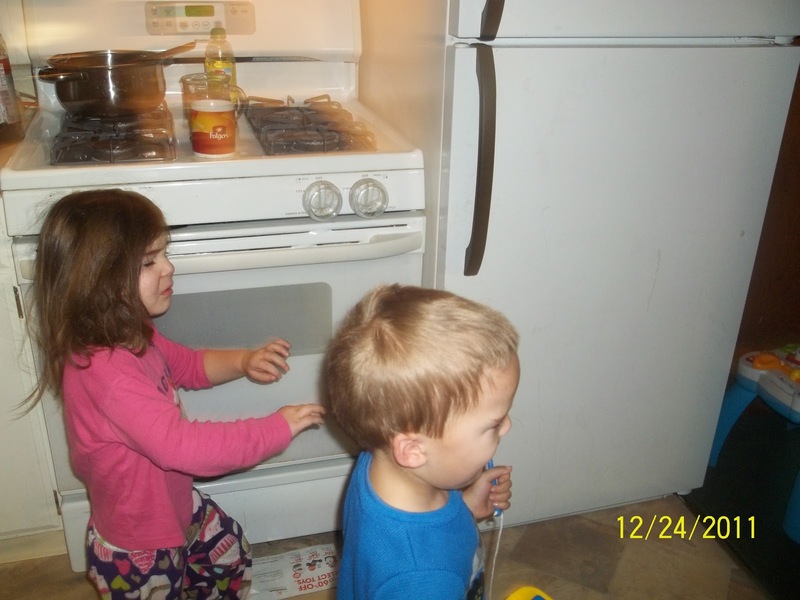 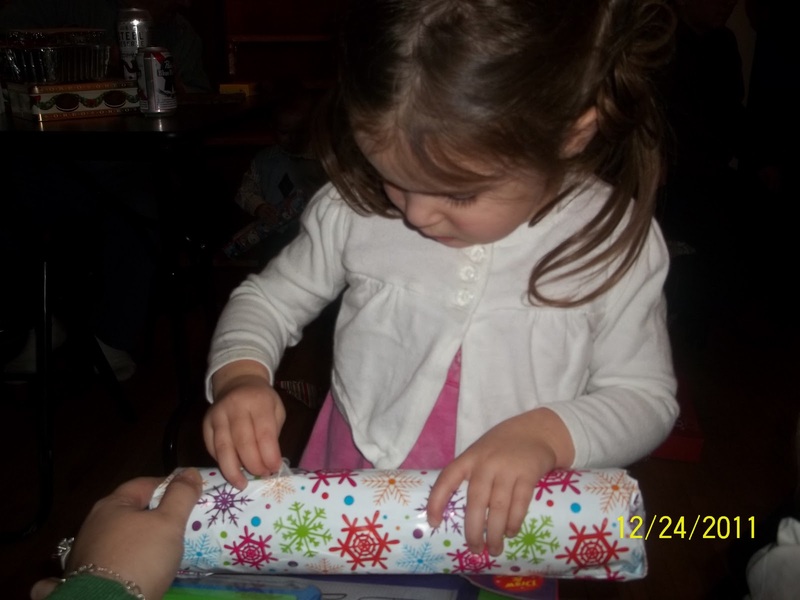 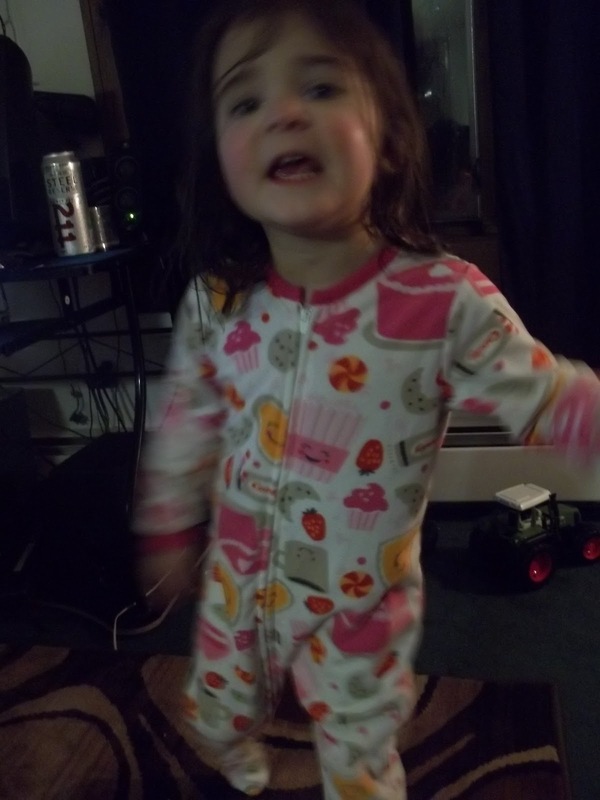 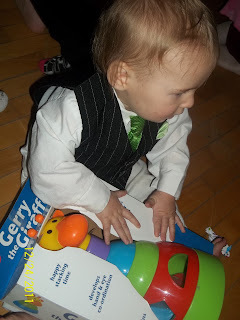 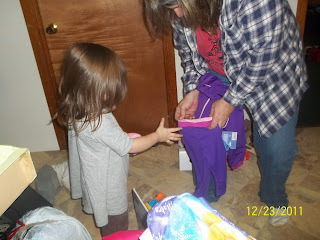 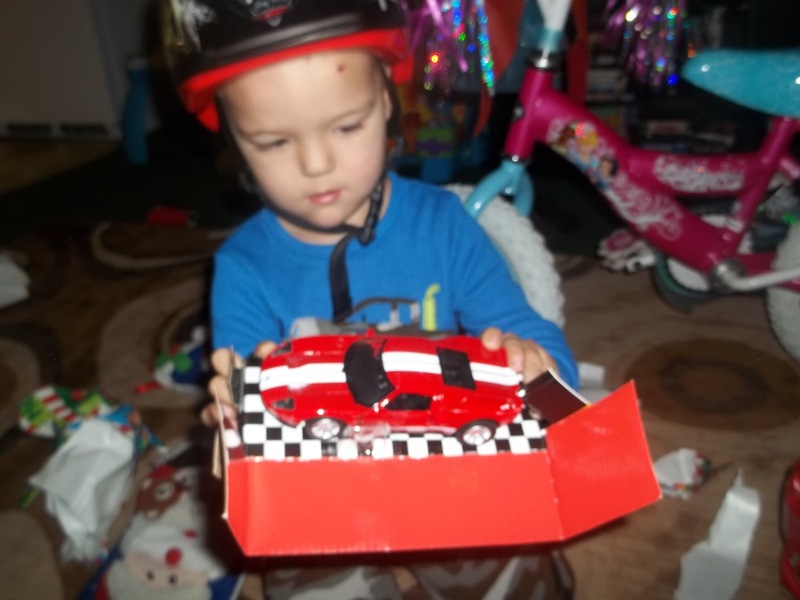 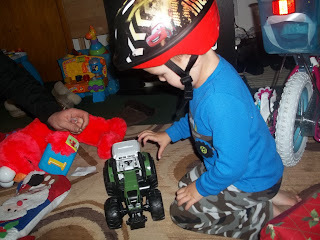 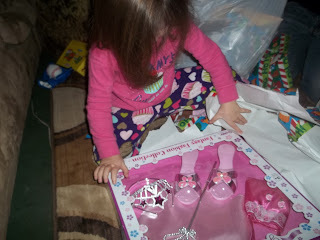 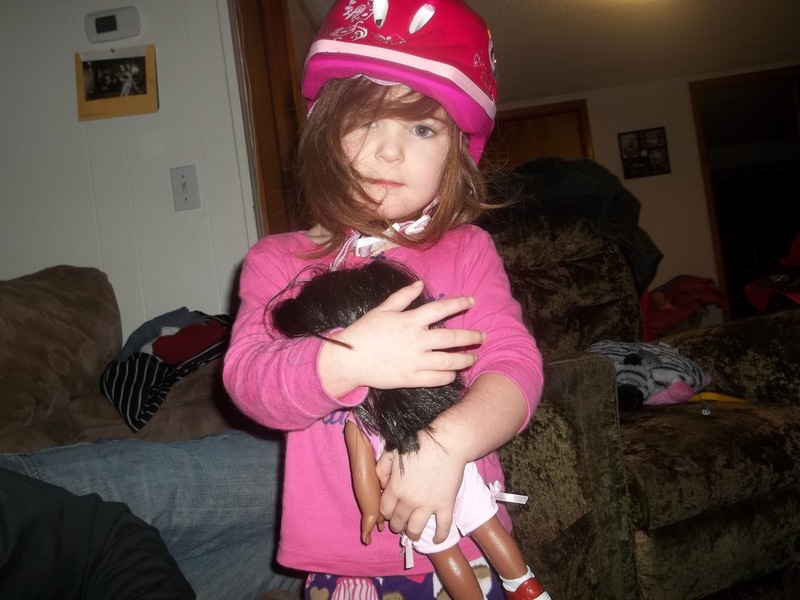 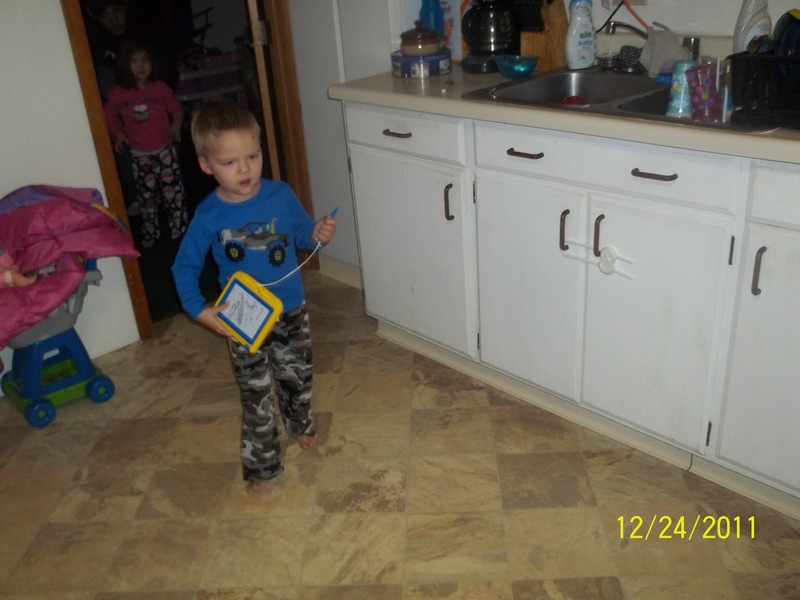 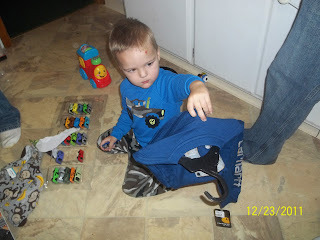 Now, on to the New Year and a 3rd birthday party!